My #1 rule NEVER store liquids or food in your handbags. Store them in a well-ventilated and not humid area. Stuff your bags when stored to keep the shape of the bag and to avoid creases. My first ever Louis Vuitton was the small 25 Monogram Speedy purchased in 2000. If you look at it today, it is in mint condition. My 6-year granddaughter has already claimed that bag. So I have it stored and put away for her 18th B-Day. I must say, she has great taste. Lol. Henri Bendel has been one of my favorites. I love how they stand behind their product. They have great quality and their customer service is amazing. Their line is all about designer handbags, fashion jewelry, and accessories. On the HB website, I took this personality quiz for kicks. 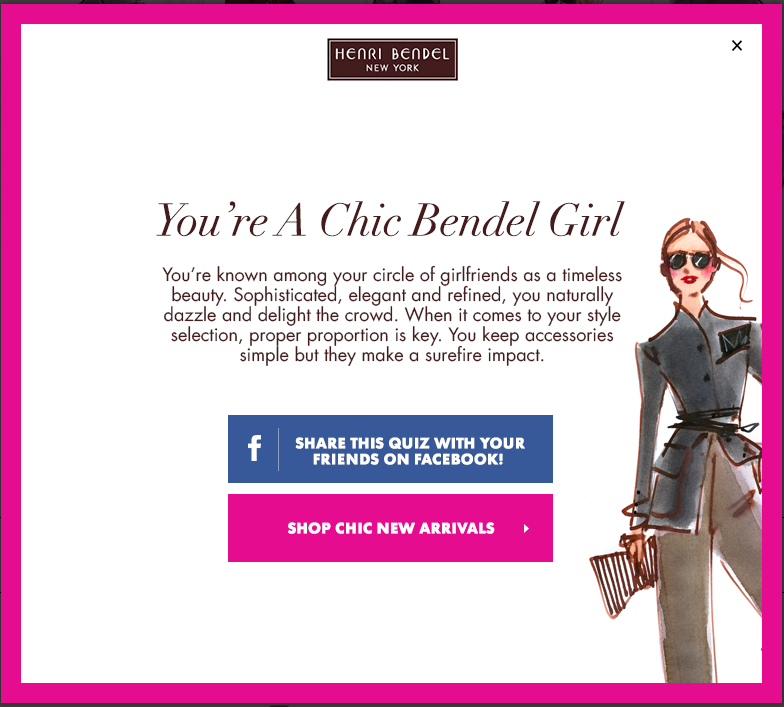 Which Bendel girl are you?